At about 6:30 p.m., a witness reported that a 1979 Dodge motorhome was on fire. Firefighters contained the blaze by 6:30 p.m. and remained on scene another 30 minutes to overhaul the fire, according to officials. 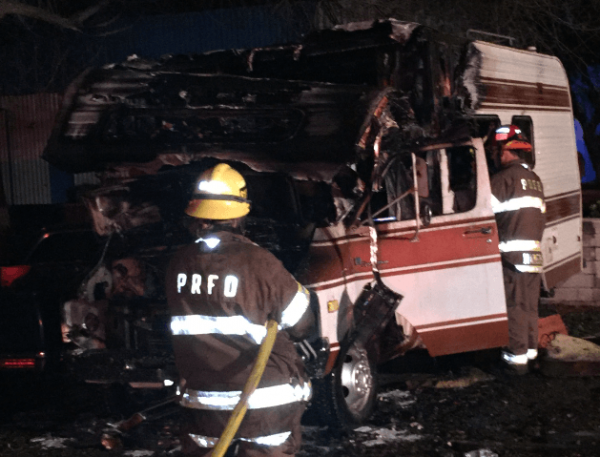 No one suffered injuries in the fire, but the motorhome sustained significant damage. Additionally, a 1980 Chevy El Camino that was parked adjacent to the motorhome sustained minor paint damage.